You’re probably acquainted with one of the better known camembert recipes, camembert au four (also known as camembert roti or baked cheese). 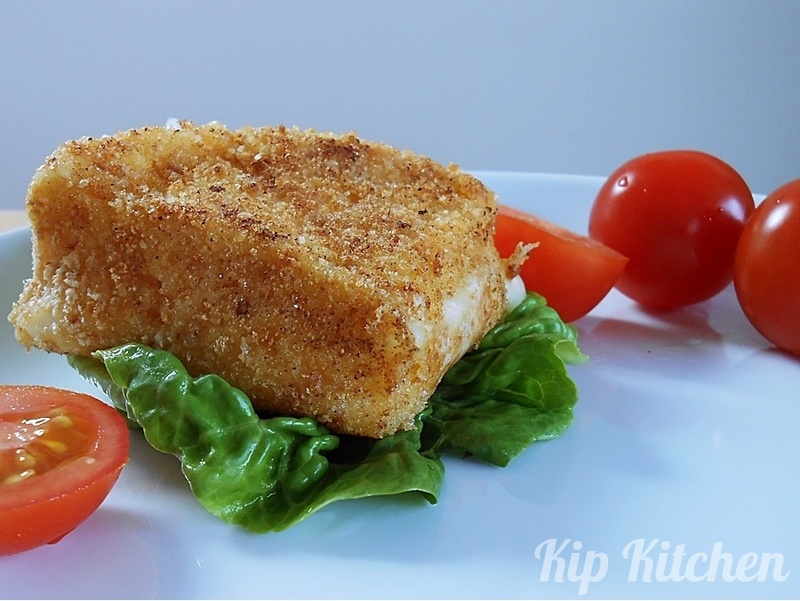 Today, I’m going to introduce you to a lesser known camembert recipe — deep fried camembert cheese (also known as camembert frit). …and of course, fantastic French food. The highlight for me was the fried camembert cheese. For the uninitiated, camembert and France are closely intertwined. It is usually served as a starter in French restaurants and comes with lettuce and dressing. Sadly, my neighbor was not a big fan. But I benefited and gleefully finished his portion. After the meal, I managed to talk to the chef and asked him how he cooked such an amazing dish. Read the recipe below if you want to know what I found out that day, plus some adaptations after a few attempts in my own kitchen. 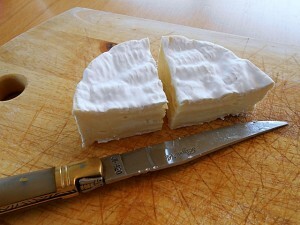 Make sure your camembert cheese is kept at room temperature at least one hour before you start. Cut it into two quarters. 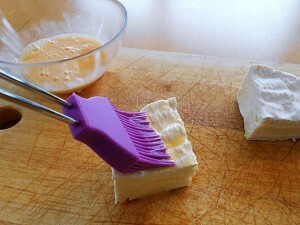 Beat the egg and use a pastry brush to spread it all around the camembert cheese quarters. 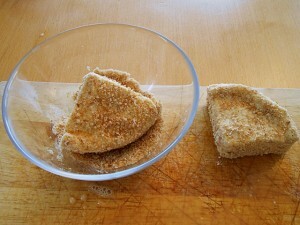 Put the breadcrumbs in a bowl and dip the camembert cheese into it to coat all sides. Prepare two plates with a lettuce leaf and a few cherry tomatoes on each. 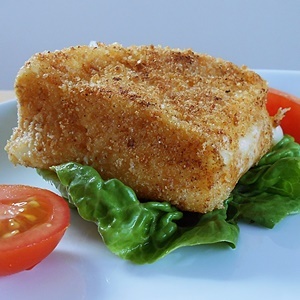 Two possible options — Fry or deep fry the camembert cheese. You can choose according to your taste. 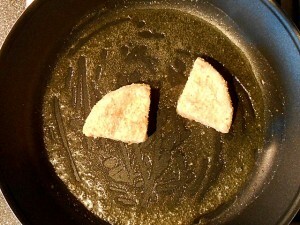 Heat up a non-stick pan and put butter in it. When the butter is hot, put in the camembert cheese. Flip the camembert cheese regularly so that all the surfaces are in contact with the butter. I do it carefully with a wooden spatula and a fork. 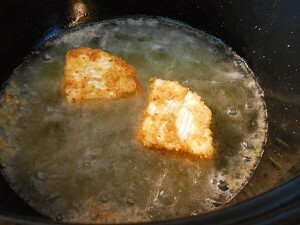 Fry the cheese 1 or 2 minutes on each side until you get a nice brownish color. If you see melted cheese coming out, it’s time to remove the camembert cheese from the pan. 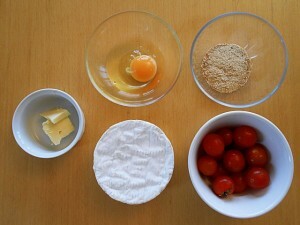 Pro: The results look great, the camembert cheese will have a nice color and the coating will be crusty. Con: More difficult to have the center of the camembert cheese hot and melted. Tip: If you have guests, put the fried camembert pieces in the oven (no more than 150ºC/300F), to keep them warm until served. Drop the camembert cheese into the heated oil for a few minutes until it gets a nice tan. Same tip as option 1: If you see melted cheese coming out, get the guys out of there, it’s time. Pro: The center of the camembert will be nicely melted. Does this camembert cheese recipe beat the usual camembert baked in oven? Let me know in the comments below! If you like this recipe, sign up for our newsletter below to get quick and easy meal ideas for two. I don’t think I’ve had camembert cheese before but your preparation of it looks dangerously delicious. Nicely done! Thanks for your nice comment, Dan! I guess if you cook for 8 people you’ll need 2 pieces of camembert cheese, and if your audience likes it you might need many more! Hi, I’m Arnaud. I help couples who can’t figure out what to cook for dinner, especially after a long day at work. I show them how to prepare quick and easy meals for two, while making it feel like fun.